It doesn’t really matter what parameters you put on it: Lansing, Mid-Michigan, class A, statewide, etc. The early returns have East Lansing coach Steve Finamore as the coach of the year. If you haven’t been paying much attention to EL, don’t feel bad. They were projected to finish third in their conference after losing one of the state’s best freshmen, Steve Haney, to crosstown Lansing Eastern — and I thought that was a little ambitious. Amazingly, they’re something special without him. East Lansing is just one win away from clinching the CAAC Blue after their second win of the season over Okemos. 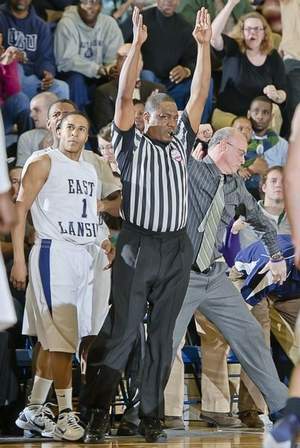 As you recall, I was up in arms over the ouster of East Lansing coach Doug Fleming after last season. I’m confident in his coaching prowess, and I thought it was a mistake to let him go. East Lansing, to its credit, made the best-possible hire and the rest is history. JACKSON, Michigan — Jackson Community College stud sophomore Nick Minnerath has made a verbal commitment to the University of Detroit Mercy. Minnerath has been arguably the MCCAA’s most dominant force this season. The 6-8 forward orginally from Massachusetts is averaging 21 points per game with 7.5 rebounds and 2.6 blocks. Better still are his field goal percentages: 57 percent from the field and a ridiculous 47 percent from 3-point range. 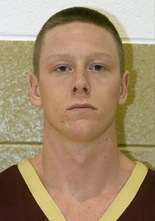 Minnerath will replace former Mott Community College standout Thomas Kennedy at UDM. Kennedy has filled the hybrid forward role for Coach Ray McCallum and the Titans for the last two seasons. Best of luck to Jackson Head Coach Steve Finamore, who will have to go out and find the talent to replace him.